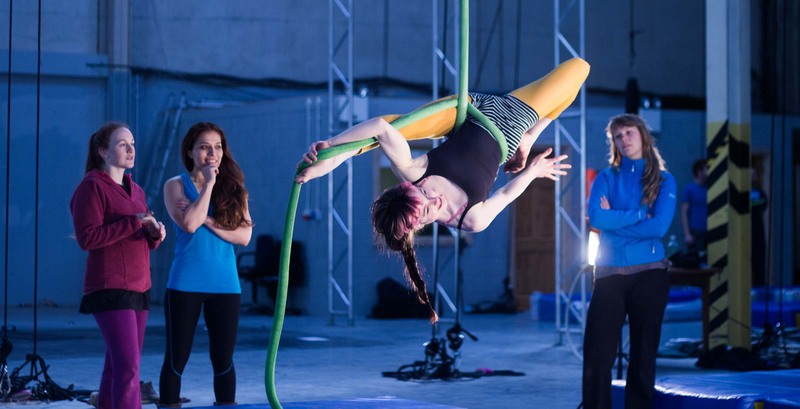 ‘Flying for FUNds’ an aerial circus fundraiser organised by the Irish Aerial Creation Centre is all set to entertain Limerick this December. Pictured is Jennifer De Brun as she stuns everyone with her aerial skills. For one night only, come to watch the best in Irish and international aerial dance and circus acts this December in Limerick, and be in with a chance to win some amazing prizes, all for a worthy cause. The Irish Aerial Creation Centre (IACC) is holding a fundraising event on Saturday 15th December, 6.30pm. 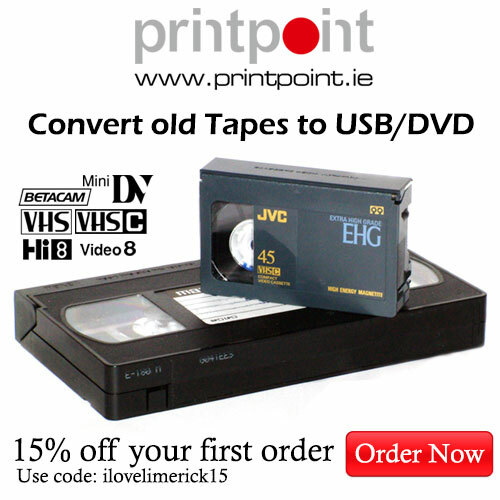 This is the first fundraiser of its kind to be held in Limerick. All money raised will ensure the IACC stays open and continues to be a home for children, adults and professionals alike to learn how to fly, whether it’s on an aerial hoop, trapeze, silks, vertical dance, and more. The IACC is a not-for-profit organisation based in the Burlington Business park in Corbally. 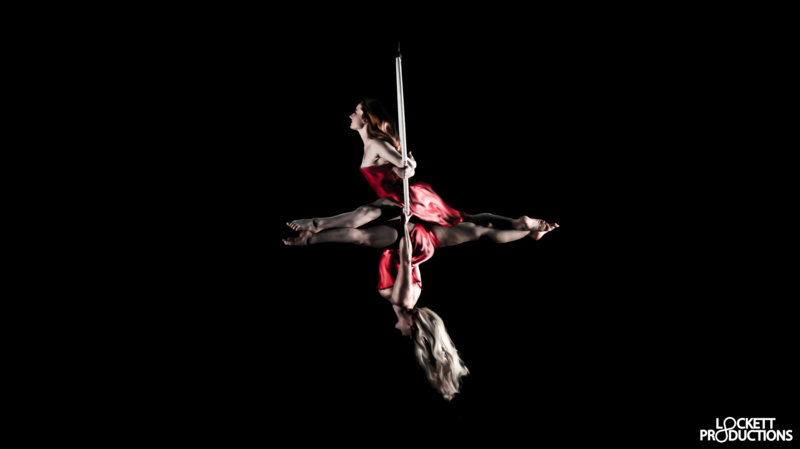 It is Ireland’s first purpose-fitted space for aerial dance and home to Fidget Feet Aerial Dance Theatre, the founders. In the 4 years since the IACC has been open, the centre offers daily community classes for all ages, children up to adults as well as running professional training and residency opportunities for Irish and international artists. The IACC also works with the Irish World Academy of Music and Dance, University Limerick, providing aerial modules to BA and MA students from the Academy who choose aerial as an elective. Performances that never fail to surprise. Pictured are: Emma Poole and Jennifer De Brun. The fundraiser runs from 6.30pm – 9.30pm/late, there will be amazing aerial performances from national and international aerialists followed by a DJ. There will be a raffle, spot prizes, goodie bags and surprises on the night, so don’t miss this fun pre-Christmas event. Raffle prizes on the night include a signed slither from the Limerick Hurling team, group aerial workshops, aerial party, Hook & Ladder voucher, The Flower Studio, a meal for two in Ramen, Keanes Jewellers and many more. Tickets are on sale now. A Friend ticket costs €10 and includes entry to the event, Patron tickets at €25 include a complimentary drink and an IACC tote bag and Champion tickets at €50 are listed sponsors on our website, have access to VIP area with champagne, nibbles, and reserved seating. Children are admitted free when accompanied by an adult. This is a family-friendly event.